Here are our goals for this website. I want you to take a second and think about your goals and your visions. What are some things about your life that you would like to change? Now time for the tough question…. If you keep doing what you are doing right now, how long will it take for you to accomplish your goals? If the answer is too long or never then penny stocks may be the answer to helping you accomplish your goals and dreams. Let me ask you this…. What is the difference between yourself and the people who are making millions investing in Penny stocks? Is it that they are more motivated than you? Or is it they you lack the knowledge that they have? If the answer is knowledge we may be able to help. We believe in the power of networking. We believe that there is power in numbers! We have been able to network with some of the most successful stock market traders in the industry. We all work together as a team finding hidden penny stock gems ready to explode. We then work together as a team to bring awareness to these stocks on social media like Facebook, Twitter, Instagram and well as a stock market forum like Ihub. This powerful networking strategy has been extremely successful for us! Wouldn’t you love to be a part of our team?! Now for the catch….. We don’t want just anyone and everyone to be a part of our elite network. We only want people that are motivated! We have some simple requirements we ask of all our team members. 1. You have to be motivated! Do you consider yourself a motivated individual? 2. You have to be a team player! Are you a team player? 3. You have to put the time in! We don’t charge anything to be a part of our team, However, we do require that you help spread the word about our website! Can you commit to helping spread the word? If you can commit to those simple requirements we would love to have you as part of our team! The best part about our Team and our network is that it is FREE. We don’t want your money we want your motivation! Please take a few seconds to sign up and we will email you the first steps to being part of our elite team. We will also send you out free penny stock alerts! Understand the right mindset to have. Around 100k people every month search on Google for penny stocks. The trend has gone up a ton since the movie wolf of Wall Street came out. It movie about how an ordinary man became a millionaire through talking investors into trading penny stocks. Penny stocks are stock that typically trade under a dollar. They attract investors who like to take risk. Because of how volatile penny stocks can be some people have made several thousand percent return on investment in one day! However most people actually lose money on penny stocks. Most are awful companies backed by huge debt and promotions. Designed with the same psychology and addition behavior you see with slots machines from Vegas. The key to making money off penny stocks is being one step ahead of the average person. Never fall in love with penny stocks. Always learn to take profit and cut losses quickly. If you can learn to have discipline and the proper techniques you can become a very good trader and make a killing off of penny stocks. If you don’t get the proper training chances are you will get crushed and lose all of your money. What are the hottest penny stocks to buy? Obviously the ones about to go up right?! This can be a tricky question. Generally penny stocks are about following the momentum. There are different reasons why penny stocks go up. In most cases you want to buy the rumor and sell the news. When companies release Press Releases to the public or shareholder updates Volume goes up. These press release can mean the company is becoming more active or it can mean someone has notes that are due and they want to sell shares. This is why it is important to have Level 2 access. Level 2 allows you to watch the different market makers. You can learn more about Level 2 here. Who should I trust with penny stock picks? There are so many people with social media accounts on Facebook, Twitter, Ihub, etc…. telling you to buy or telling you that they have inside information. So who do you trust? No one. Truth is in most cases when people are telling you about a penny stock they have already bought shares at a much lower rate. Chances are they do not have “insider information” and if they do it would be illegal to share with you. Now, sometimes when you are new people will give you a good pick to gain trust. If they tell you about a stock and that stock goes up 200% they know the next time they tell you about a stock you are going to be eager to buy as many shares as possible. A lot of promoters pretend to be normal traders. Truth is they have several different alias online and in a lot of cases they are pretending to be several people at once. Use this to your advantage. If you can recognize these phony promoters you can use their game against them. You can load up on the picks they have that are to build confidence and you can act like you loaded up on the picks they gave you to scam you. Then when the stock tanks tell them you are not happy and that you will give them one more shot. Tease them about 401 k money you have that you want to invest but you need to know you can trust them. Tell them you have a settlement coming in a few months that you are willing to invest in their picks if they can show you that they can pick winners. Learn to play these corrupt penny stock promoters. Never trust any of them. They are all out to get your money. Why do so many websites offer penny stock alerts? There is so much money in sending out alerts. We will admit it we will even send out paid alerts but at least we are upfront about it. Paid newsletter alerts or penny stock alerts sent out through text message are a multi-million dollar if not billion dollar business. These alerts are there to generate exposure to a business or a stock. The best alerts are generally non compensated alerts. These are meant to create momentum and build trust. These alerts are meant to skyrocket and for you to wish you would have invested. In most cases these alerts come when you least expect it. By design most people miss out on these alerts. Again the purpose of these alerts are to build trust. They play off your greed. You will dream of what it would have been like if you put 5k in and in one day could have made 25k. You will convince yourself that next time you won’t miss out and you will go in. Then when you do you end up buying into dilution. The dilution paid alert rapidly falls. You lose money so quickly you hold onto shares hoping it will go up. Most new investors make the mistake of not taking losses quickly and getting out. They end up becoming what a lot of people refer to as bag holders. Bag holders is the slang term for penny stock investors/believers who allowed their greed to have a negative effect on their penny stock trading and end up losing a lot of money and are hoping and praying the stock will go up because there shares are pretty much worthless. These people a lot of times suffer from Cognitive Dissonance and will defend the scam companies to the death no matter how many empty promises the company and CEOs have or how far the stock drops. Where can you find a penny stocks list? There are a few different places you can find penny stock list. One of the places we use id otcmarkets.com We have dedicated a page that will help teach you how to search for penny stock list on OTC Markets to teach you how to find certain stocks that may go up. You can find a guide to how to use this search by clicking on Penny stock List page. There are several different types of stocks. There are oil stocks, marijuana stocks, biotech stocks, gold stocks, alternative energy stocks, cheap stocks, tech stocks, Pink Sheet Stocks, small cap stocks Etc… So depending on what you are looking for there will be different ways to search for it. The purpose for this site is to make money obviously but the main goal of this site to give new investors and good people an honest chance at making money in penny stocks. Let’s call a spade a spade most of these penny stock companies are ran by CEOs who have no idea how to run a business. They hype up ideas and act like they will be the next best thing. You will hear people reference how Monster Energy Drinks use to be a penny stock and went from $0.69 and has reached $160 a share! They will play to your greed of how you could be rich or tell you how True religion traded as low as 0.67 a share and how you could purchase an island if you would have only took a risk and bought when it was low. 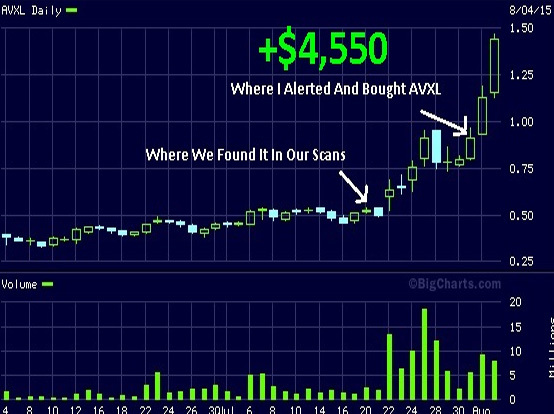 Success stories like this is what makes Penny Stocks exciting but as you will find out in most cases these penny stocks are ran by shady CEOs and Penny Stock promoters looking to make money of your dreams. They sell you hope and take your money. This site is designed to give you the best chance possible to make money in micro-cap and penny stocks. We plan on providing as much information as possible free of charge and only ask that you share our website and help spread the word and do your part to help other good people make money in Penny Stocks. There are many “gurus” out there taking videos bragging about fancy cars and yachts they own. They sell their “proven” courses for thousands of dollars… truth is most these so called Gurus got lucky and now make the majority of money selling their products to investors. We believe with your help we can teach penny stocks tips and strategies free of charge. We can save honest working men and women thousands of dollars they would spend on courses and teach them how to be profitable. We believe in paying it forward. When you are part of our team all we ask is that you share our website and when you make money help pay it forward by doing good deeds. Thanks to APS I have been able to learn a ton about trading penny stocks. I made over 30k in under three months on their last swing trade alert. In today's world, it is hard to trust anyone. Awesome Penny Stocks helped me gain some knowledge which resulted in $1,800 profit in the last two weeks. Thanks to Awesome Penny Stocks I was able to have my best month trading ever!!! Awesome Penny Stocks alerts are my favorite alerts to trade. I made over $13,000 in a week trading one of their alerts.